People looking for Mail Slots and Mail Receptacles, whether constructed from Aluminum, Chrome or Brass, of various sizes and capacity, will love Budget Mailboxes' collection. Connect with one of our product experts for orders and queries. 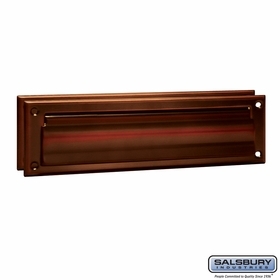 Question: I'm interested in purchasing Salsbury Mail Slots. What colors are available? Answer: Thanks for your interest. 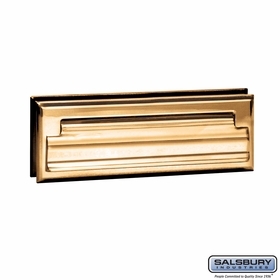 The Salsbury Standard Mail Slot 4045 comes in antique, chrome and brass finishes. Question: I need the two torsion springs for my mail slot. Do you carry them? Answer: Unfortunately, we do not carry parts for mail slots; however, if the slot was purchased through us, we can inquire with the manufacturer as to whether or not item is available. Question: Do you have a metal catcher for the back of the door? Answer: We carry two collection boxes. One for item 2255 and one for item letter-drop. Question: Are these USA-made products? Answer: Most of the items on this page are USA made products. Question: Do you carry insulated mail slots? We live in a cold climate in the winter and have a draft coming through our current mail slot. Answer: We do not carry any insulated mail slots. Question: Is Salsbury mail drop #2255 tamper proof from the outside? We've had missing money orders by someone sticking something thru mail slot and removing the m.o. Answer: This item has an adjustable mail flap stop that will allow you to hinder certain things from passing through. Question: Do you have a mail slot that has an opening of 3 inches high or more? Answer: This Mail Drop has a 4-inch-high opening. 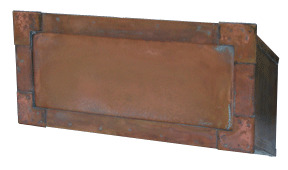 Please note that it is 5-3/4-inch deep and is designed to be mounted into a wall. Question: Is there a mail slot available for a wall, ie. from exterior to interior? Question: I'm looking for an item with an opening of 3" x 9" or larger; NOT the exterior size but opening size. To stop mail theft out of my mailbox. Needs to let packages in not just letters. 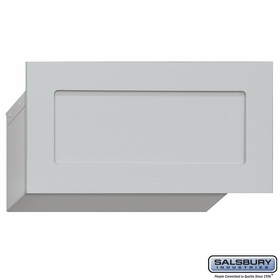 Answer: We sell a mail drop that has a 11'' W x 4'' H mail slot.The sku number is WL-2255ALMBM . 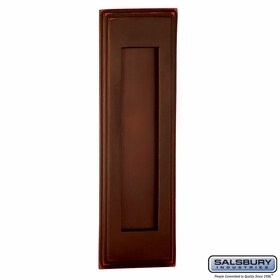 Answer: Please click the link to view our selection of Vertical Mail Slots. Answer: I am sorry, but we do not have any black mail slots of that size. Question: Do you carry the mail slot sleeve? Answer: Yes, we do carry this Mail Slot Sleeve that is 10.75 in W x 2.25 in H x 1.75 in D.
Answer: The mail slots made buy European home are spring loaded. Question: Are there mail slots wider than 12"? Thanks! Answer: This Large Stainless Steel Mailslot measures 15.7" W x 3.9" H. The actual mailslot opening measures 13-1/4"W x 2-1/2" H. It comes in a Brushed or Satin finish and an optional Wall Liner Sleeve is also available. Question: Are customized brass numbers available for the wall mail slot? Answer: Yes, customized brass numbers are available for The Streetscape Executive Mail Slot. Thank you. Question: Can any of the through a brick wall mail slots be mounted vertically? Answer: The European Home mail slots have been sold for this use and so far none of them have come back that were purchased for that installation. 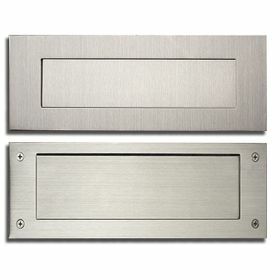 Question: I am looking for a mail slot cover that has a doorbell button located at the bottom center. Answer: Unfortunately, we do not carry such an item. Question: Do you have any that are insulated to stop the wind blowing through? Answer: Currently, there is only one mail slot that we sell that is advertised with weather stripping for this purpose. Question: Do you make a Mail Drop box with slot for Doors? Answer: You may want to take a look at this Letter-Drop. This is a mail slot that has the option of a custom liner and collection box. Question: I'm looking for a nickle finish (polished) through-the-wall mail slot that has an outside, an inside and a standard wall liner (roughly 5 1/2" deep). Answer: The closest match to your request would be the Letter-Drop in the silver speck finish. Question: Where can I find a vintage door for the inside wall mail slot? Our receptacle is in the wall and it has about a 6" x 8" opening on the interior wall that needs a little door to cover it. House was built in 1932. I would appreciate any suggestions. Thanks in advance. Answer: Unfortunately, we don't have any vintage mail slot parts; however, you could check with Restoration Hardware. Question: How do you order separately for #2255? Answer: To order the Salsbury Industries Mail Drop, click the link and check out from the item page. Question: Can standard mail slots be used for USPS delivery? Answer: Yes, standard mail slots can be used for USPS residential door mail delivery. Thank you. Question: May I know all the colors available for the Salsbury mail drop? 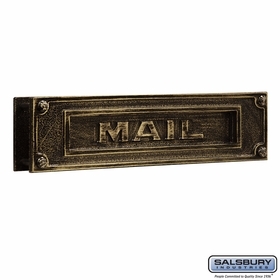 Answer: The Salsbury mail drop comes in aluminum, bronze, brass, sandstone and green. Thank you for your question. 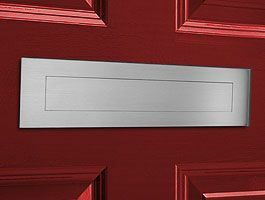 Answer: The largest door mail slot available is the Engraved Mail Slot and has a door size: 4"H x 11-3/4"W.
Question: On the Mail Drop model, what type of installer should I look for? Chicago, IL. Answer: This installation should be simple enough for any contractor. Unfortunately, there are not too many places that specialize in mailbox installation because USPS use to oversee this.